Today, 40Tech is pleased to present a guest post by Dan from Test Freak, a technology review and price compilation site. Across the internet there are pages and pages of documents, photo’s, applications and more. Within all of this it can often be hard to find the gems that can brighten your day or make the day easier. Because of this, I’ve compiled for you a list of useful programs that you may have missed when roaming through the vast web space. Not only are they useful but all of the below programs are also completely free! Everyone’s computer needs protecting from the vast amounts of malicious viruses that have turned up over the past years created only to cause harm and distress to other users on the internet. In order to protect yourself, a good antivirus program should be the first thing you head for once a computer is up and running. Thankfully there is a large market for antivirus products leaving users with a wide choice of what’s best for them. For me and many others, the best choices are those that require no outlay of money — and surprisingly, there are still many varied options available that are completely free such as AVG, Avira, Avast! and more. One of the best of these is arguably Avast! which is currently protecting my system and many others. Avast! is favoured by many due to the features provided and its solid ability to lock out malicious content. The application features a variety of real time shields which are actively protecting your use of the computer. For example the web shield is able to protect you whilst surfing the web by checking the connections you are making. If it finds a website containing harmful content the connection is instantly blocked, stopping viruses from reaching your computer. However if problems do crop up on your system, Avast! is equipped with a scanner to check over your whole computer in order to root out and eliminate any viruses that are present. Another very useful feature of Avast! is its self-maintenance, it is able to update its virus database without user interaction and does so on an almost daily basis making it very useful for those not completely clued up on IT systems. One of the most annoying things about these viruses is their ability to continually restart themselves, much to the user’s annoyance. However it’s not just viruses that have picked up this trait; many programs can be found which start of their own accord and continually start even when told not to, particularly things such as program updaters. This is where Process Blocker (beta) comes in, a tool which is able to automatically block programs from starting as soon as it detects their arrival; handy for stopping unwanted programs and saving precious memory space. It’s also incredibly simple to use, with users simply having to direct Process Blocker to the unwanted program file and it to the block list. From here it will be blocked every time that program’s start-up is detected. An option can even be set to allow the blocking of a process if it has been renamed, making this a very handy little tool. 7-Zip is another program that is great for those of us who like to save cash. Many files today are sent in a compressed format, and groups of files are often archived into a zipped file before being sent to others, making them easier to keep track of and smaller to transfer. However when they get to their destination they need to be unzipped and so need a program to do this. Often, people will pay for these programs such as WinRAR or WinZip but there is no need. 7-Zip is capable of unpacking many of these file formats without the need for you to part with a penny. It is also capable of packing files itself using its own format of .7z, meaning that this free piece of software has you completely covered when you need to unzip files, work on them, and then package them back up to go elsewhere. I’m sure we’ve all done it in the past: deleted something only to regret it a few moments or even weeks later. Thankfully another one of our top free internet applications has you covered. That application is Recuva. Recuva is a piece of data-recovery software capable of retrieving information even when it has been permanently deleted and reallocated as free space, up until the point that the free space is over-written with new data. The application itself is very easy to operate. Simply open it up and follow the on-screen wizard. You’ll first be tasked with selecting the type of file you are looking for and then where to look for it. For files you are unsure about, the option to search everywhere is available. After this short wizard, Recuva zooms off, searching your drives for the specified file-type and returns a full list of everything it has found. From here, you simply select the files you want, click recover and hey, presto! Your files are back, saving you from a potentially disastrous situation! Paint.NET, as the name implies, is an image-editing program and works surprisingly well as an alternative to some of the larger software packages in the genre, such as Adobe’s Photoshop collection. Whilst it does lack many of the features present in Photoshop, it is still a fully competent photo-editing application that provides a substantial upgrade from the basic Paint program bundled in with Windows. Paint.net provides a good blend between the two scales of drawing packages, maintaining the ease of use and clear layout found within paint whilst providing several of the advanced features found in Photoshop. These features include layer-based editing, allowing you to manipulate one part of the image without risking the whole project, along with artistic adjustment tools in order to affect colours, levels and image effects. 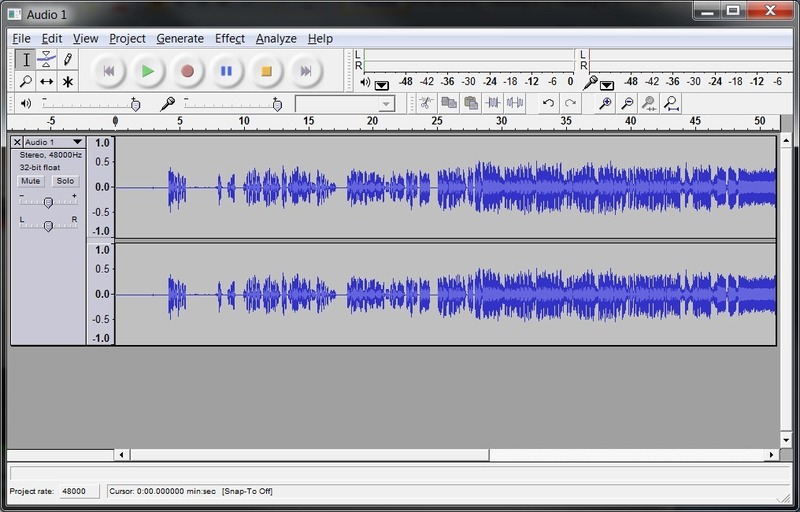 Once you’re done with editing images, why not try your hand at editing sound with Audacity. Audacity allows you to very simply edit pieces of music by cutting, pasting, and remixing the track. This can be done through music files already stored on your computer but can also be done through your own music played by yourself. Audacity features a built in recording function allowing you to capture your music before bringing it into the editing stage. The editing section is also very easy to use due to its simple nature, with the interface providing direct access to the basic controls whilst hiding more complicated and advanced features away within sub menus. Basic controls include tools that allow you to select certain sections of the track, move them around, delete them entirely or copy them for later, repeated use. Along with these, more advanced tools are also available in the effects menu, which allows you to change things such as the speed, tempo, pitch and more. These tools should allow you to easily and quickly enter the world of audio editing and provide a great deal of fun. If nothing else, everybody likes taking their favourite track and turning it into a chipmunk version, right? Once you have finished with your audio track, why not play it back to friends and family with VLC. VLC is a media player capable of playing many different file formats, from files stored on both hard drives and physical media. It features the ability to decode and play many different codecs, and is able to play many files that other players simply cannot, allowing it to become your one-stop-shop for playing video and audio files. I’ve yet to find a single file that it can’t play, which is why it has earned its place on this list of useful programs. As with most programs on this list, it also earns bonus points for being incredibly easy to use, with the initial interface only offering the most basic controls and making the program nearly incapable of confusing any of its many users. However it also features a few more advanced functions that improve its usefulness even more — such as allowing content to be streamed, the video to be cropped and resized, and audio re-synched. A few more fun features can also be found in the effects and features menu such as options to invert the colours, turn the video into a cartoon or even make the video into a puzzle game that needs to be reorganised in order to watch the film normally. While this list provides a few great – and free — programs that you may have missed, it is by no means all-inclusive. If you’ve found a great free program, pop it into the comments below and tell us why you think it should be here! [Sponsored Post] Is the Desktop Dying Out? GIMP (http://www.gimp.org/) is my go-to app for image manipulation. A lot of the features of pricier packages, but it’s free and has been more many, many years. I’ve used both of those, too, Kosmo. I still use GIMP as my primary image manipulation app on one machine, although I find its interface to be a bit cumbersome. 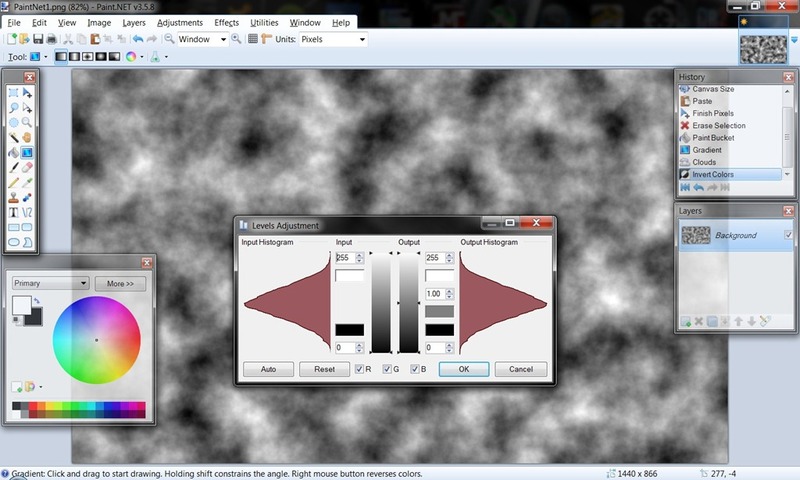 On my Mac, I use Seashore, which is a stripped down and prettied up take on GIMP. Audacity is pretty cool, too, although it took me a bit longer than normal to figure it out. I don’t use Paint.net since i have more complex needs when it comes to image manipulation, but i do use 7zip and VLC, they’re free, they’re do what they say and they do it good. That’s all what matters to me. I love that VLC is cross platform. I use a Mac now, too, and it has come in handy for opening files that Quicktime can’t.